My plan was cancelled and my app says my number was changed due to inactivity, despite using it to text a few hours prior. 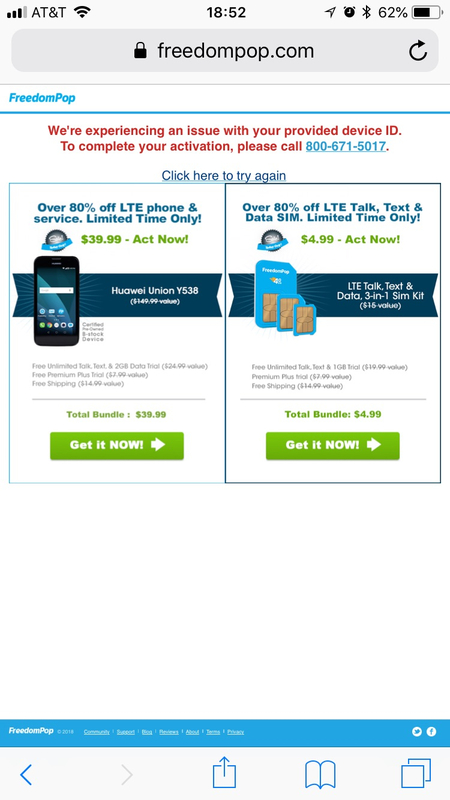 I haven’t even been signed up for a week and I couldn’t reactivate my phone with a new number. Why did this happen? For a phone to be active, it needs to make an outgoing call at least once every 30 days, texting is not enough to keep it active. 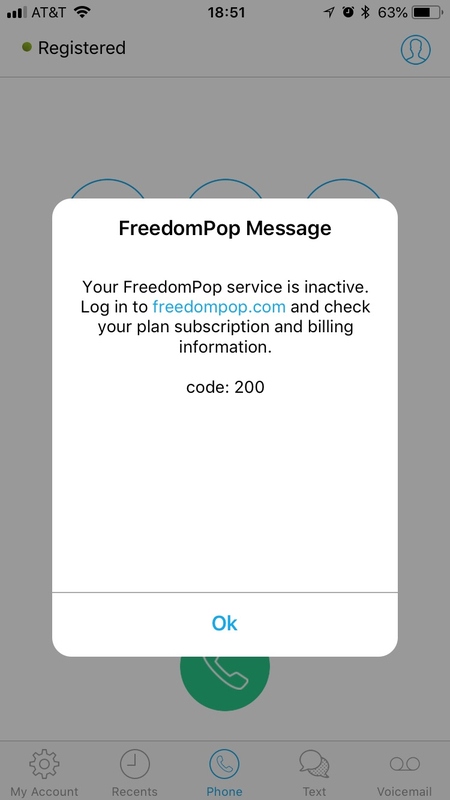 Since you have only had it for a week, I would not expect that to be the problem, but you should login to your my.freedompop.com account and see if it gives you any indication of what is going on. 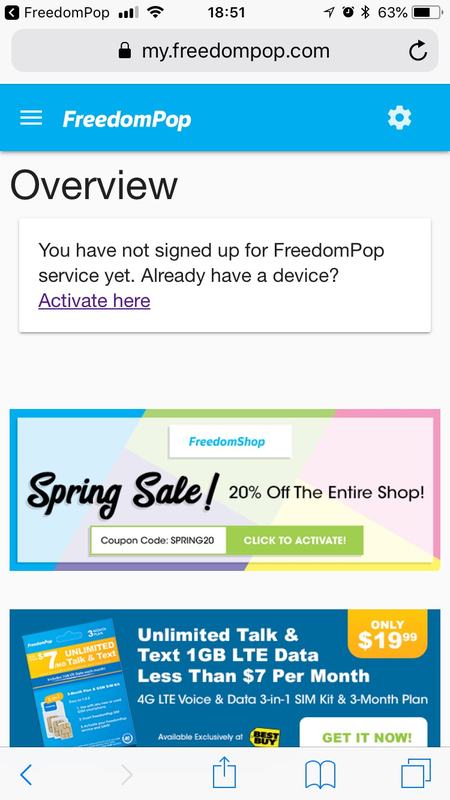 Unfortunately when I sign into my account, freedompop simply says I’m not signed up for any plans. I tried reactivating but that doesn’t work either. I never contacted customer support though. How could someone cancel my account other than me? Will I be refunded my top up balance that I was forced to pay or is it still on my account? I don't really mind opening a new one but I don't want this to happening again or lose the money i've paid so far.